The Solomon Islands Football Federation (SIFF) Special Projects Office is now taking the necessary steps to effect the full roll out of the program starting with Honiara. SIFF Special Projects Manager, Phillip Ohoto’ona, said that the pilot project phase has been very positive so SIFF is moving forward with the nationwide implementation of Just Play. “We are now working on the schedule for delivering Just Play material and training to schools throughout Solomon Islands,” Ohoto’ona said. The roll out in Honiara will involve 21 primary schools and 1 community. Thirteen (13) of the schools are under the authority of the Honiara City Council while the rest are privately owned. “The schools that are selected in Honiara includes all the fully established and recognised primary schools except for the ones that took part in the pilot phase,” Ohoto’ona said. A meeting is called for the Honiara schools for Friday 15th October, 2010 at the SIFF Academy Conference Room starting at 1:00pm. The meeting will be used to finalise details and confirm the schools that will take part so each school is requested to send 1 representative to attend it. The first training workshop for the teachers from the participating schools will be held on the 26th and 27th of October. The second training workshop will follow on the 28th and 29th of October. The training workshops will be used to train the teachers on how to implement the Just Play program in their schools. They will be run by Oceania Football Confederation (OFC) Just Play coordinator, Collin Tua. After the workshops, the schools will be given the equipment to conduct the program in their schools for 6 weeks. SIFF will closely monitor and support the schools and community during their implementation of the program. 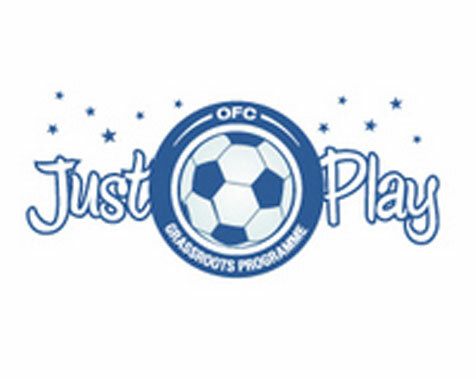 The Just Play program promotes football education and activities for primary school students aged 6 – 12. Local partners in the program are the Ministry of Education and Human Resource Development through the Primary Education Division and SIFF.